I started with the Sweet Soiree Memories & More card pack. 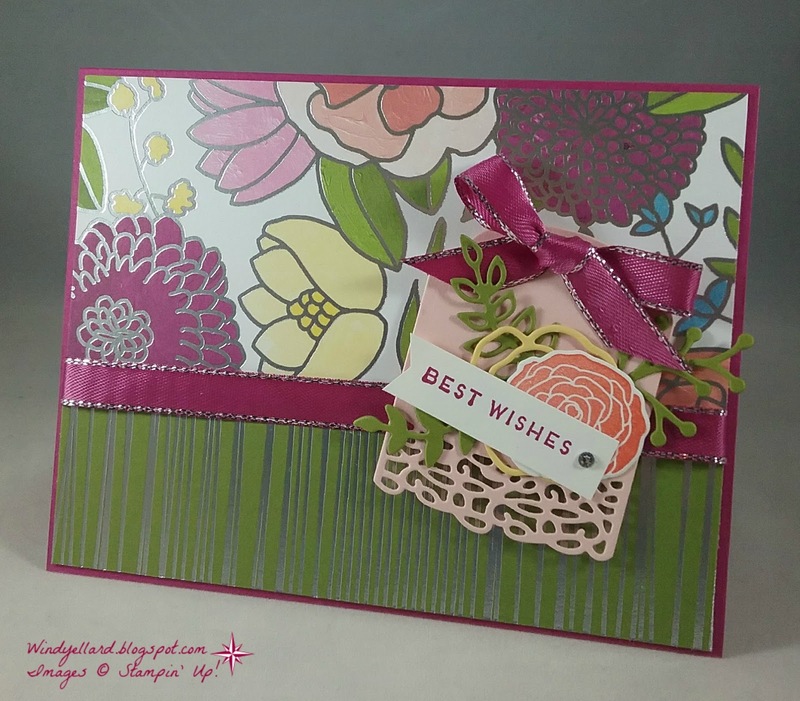 lovely designs like in The Sweet Soiree DSP in the Occasions catty. 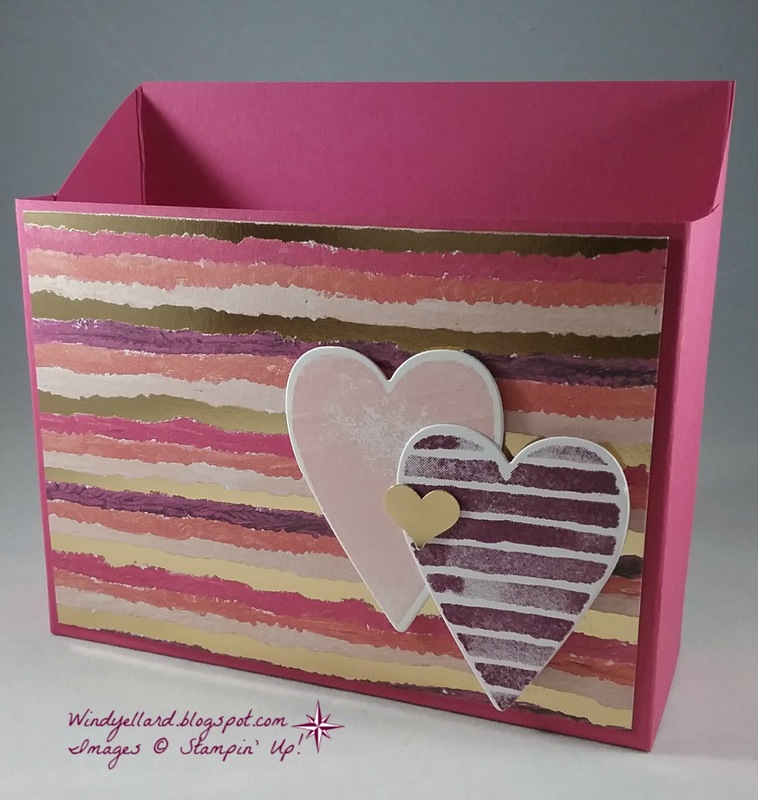 I layered them on a piece of Powder pink card stock for the base. 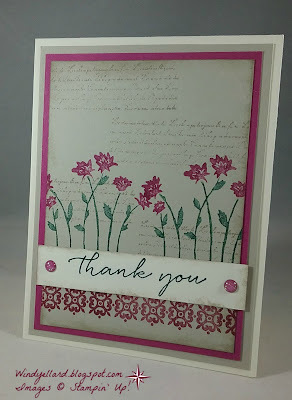 which I stamped on Whisper White in Berry Burst ink. I finished it off with some Tutti-frutti adhesive backed sequins in Berry Burst. Hope it is a blessed week! this week! I grabbed my Tranquil Tulips for a thank you card. helped my celebrate my birthday last week and even this week, too! beautiful necklace she bought me and the a great lunch at Brio. so I have it pulled out on my desk for a remember. I added it to the thick Whisper White base. on Whisper White. 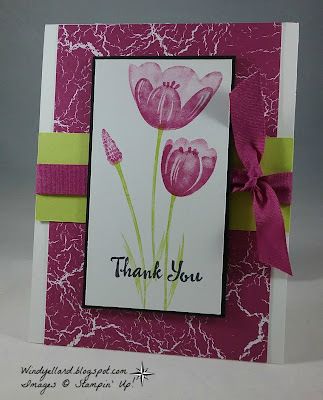 I added the tulips in Berry Burst. detailed part is stamped straight on with same color. in Petal Palette stamp set. around and tied it to one side to finish it off. I do love the Lemon Lime Twist and Berry Burst together. I used two prints from the Sweet Soiree DSP on the card. 3/8' Berry Burst metallic edge ribbon. It is so soft and beautiful. I used it to break up the two prints and then as a bow for the cute Powder Pink tag. 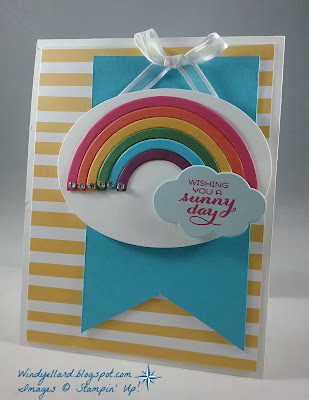 I cut elements from the Sweet Cake framelits dies for the tag. I made a little banner with the Best Wishes sentiment from Cake Soiree set. I finished it off with a rhinestone for bling. so the green was easy for today's card. I went with the middle column down Insect, Green, Twine. 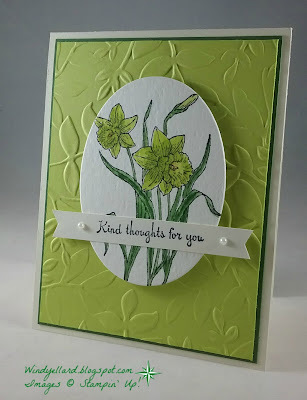 I used the lovely background paper in Tranquil Tide. 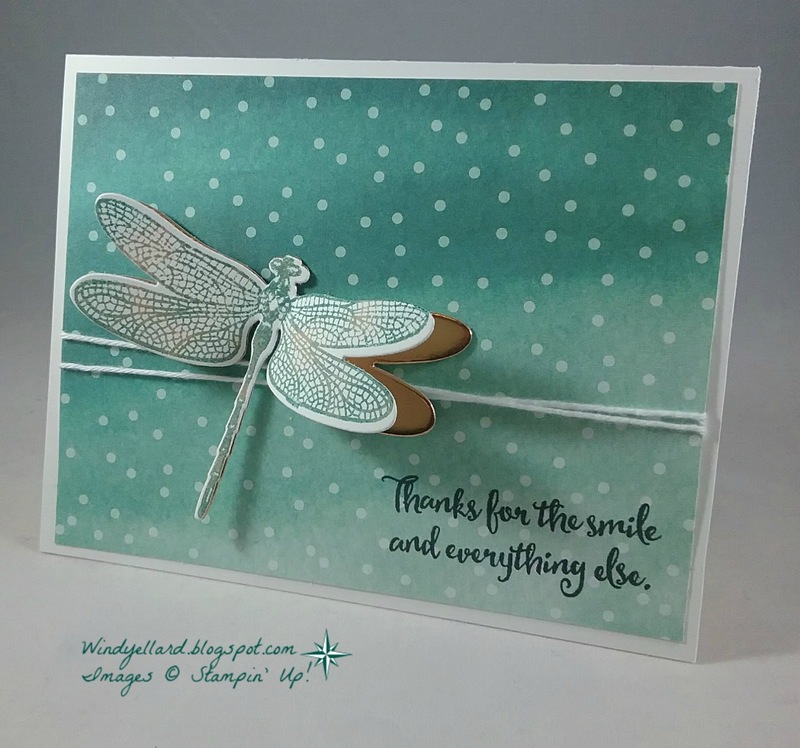 I stamped the dragonfly in Crumb Cake and sponged some Tranquil Tide on it. I stamped it on Whisper White and cit it with the matching die. I also cut a piece of copper foil to match it underneath. 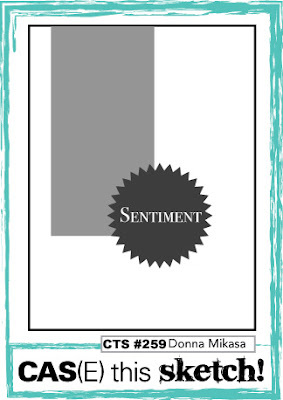 I stamped the sentiment in Memento Tuxedo Black on the DSP. like the dragonfly was landing on it. 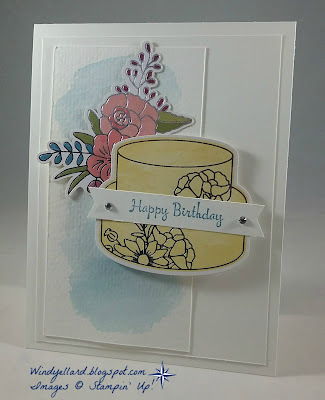 I finished it off with the thick Whisper White card stock for a base. I will send this out this weekend as a thank to friend for my birthday gift. 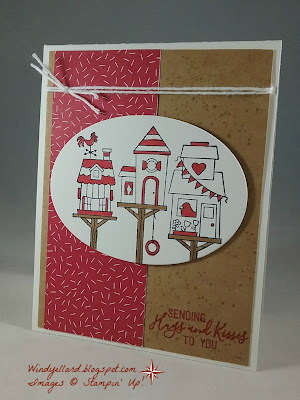 Love the Hold on To Hope set! Calypso Coral. I then went over it with the verse in Tranquil Tide. and cut them with matching dies cuts. I thought it made it so soft even though I used a dark color like Tranquil Tide. 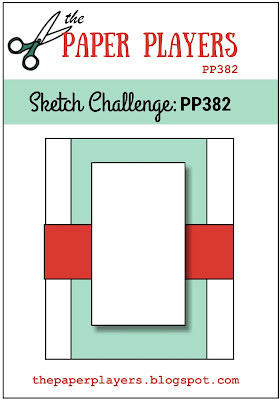 for this sketch challenge. Love that kit! I was inspired by Narelle's card with all the white and some water color. I layered a piece of Whisper White on a thick Whisper White base. 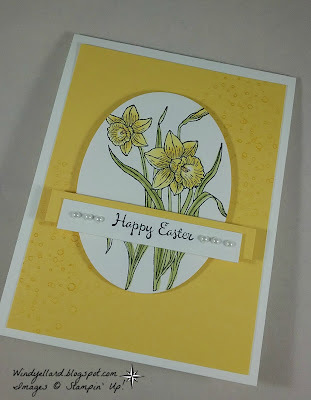 I cut a water color paper panel and used some Marina Mist and my aqua painter. I added the images from the kit over the layers. I finish the card off with some bling on the banner. Thanks for stopping and have a blessed Friday and weekend! 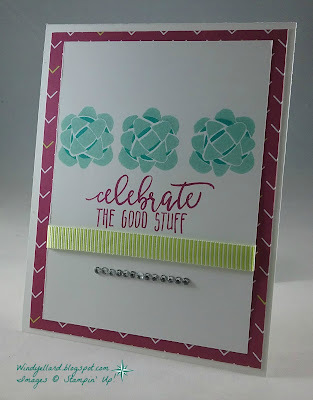 and background stamping showed up much better. I stamped the flowers on a Whisper White oval in Memento Tuxedo Black. Lovely Daffodil Delight, Old Olive and a touch of light Pumpkin pie in the center. You're Inspiring set in same color. I layered it all on a piece of thick Whisper White for the base. 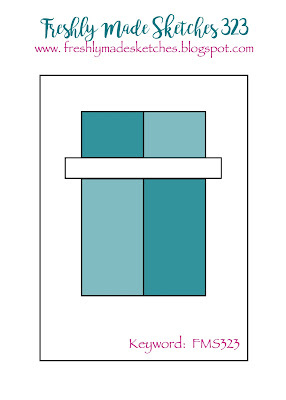 I like how soft and simple the Easter card looks. on the lovely Wooden Textures DSP background. I think it really pops! 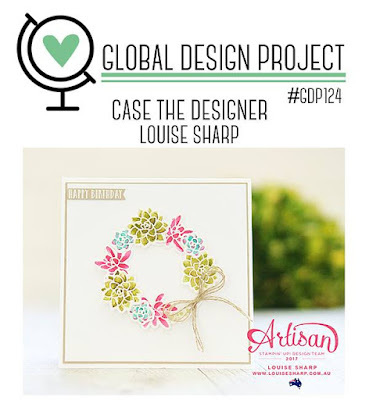 to design my class cards for next month. 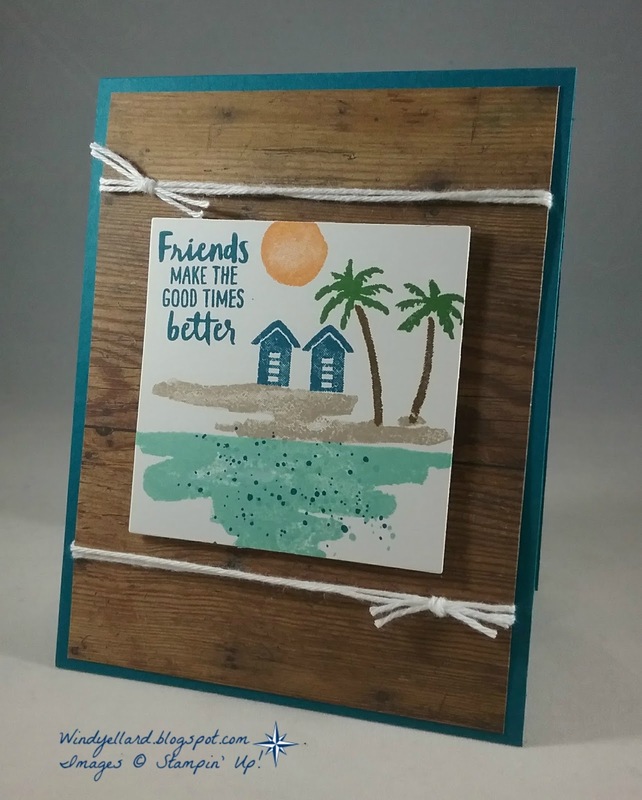 Sweet little friend card...wish I was at the beach right now! 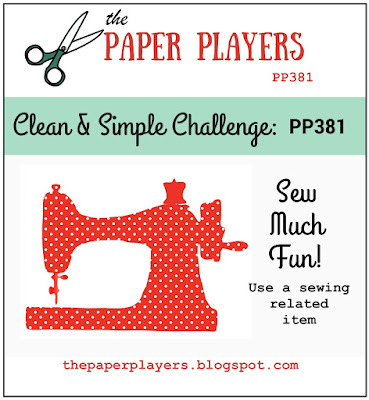 thepaperplayers.blogspot.com challenge is this week. Thanks for stopping by and have a beachy day! Ink: Island Indigo, Peekaboo Peach, Pool Party. I used 6 bright colors and I added the bling at the end. 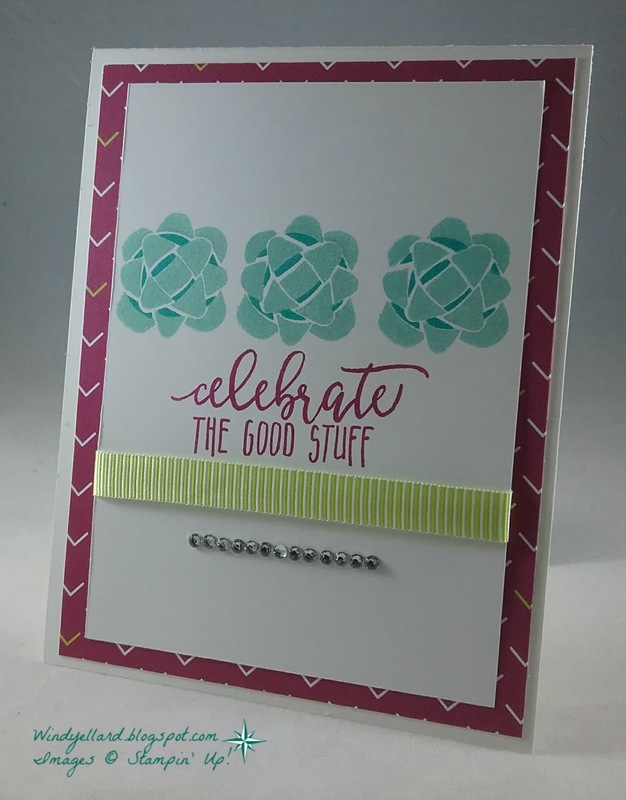 thick Whisper White card stock base. I finished it off with a 3/8" white organza ribbon bow to look like it is hanging. Hop you can play along and thanks for stopping by! CTS259 Blessings & Happy Birthday To Me! First, today is my birthday so Happy Birthday To Me! yummy fondue tonight with my family. they would be fun in this sketch. Lemon Lime Twist and Soft Suede for layering. I finished it off with a few Soft Sky adhesive backed sequins. Hope you can play along and thanks for stopping by! 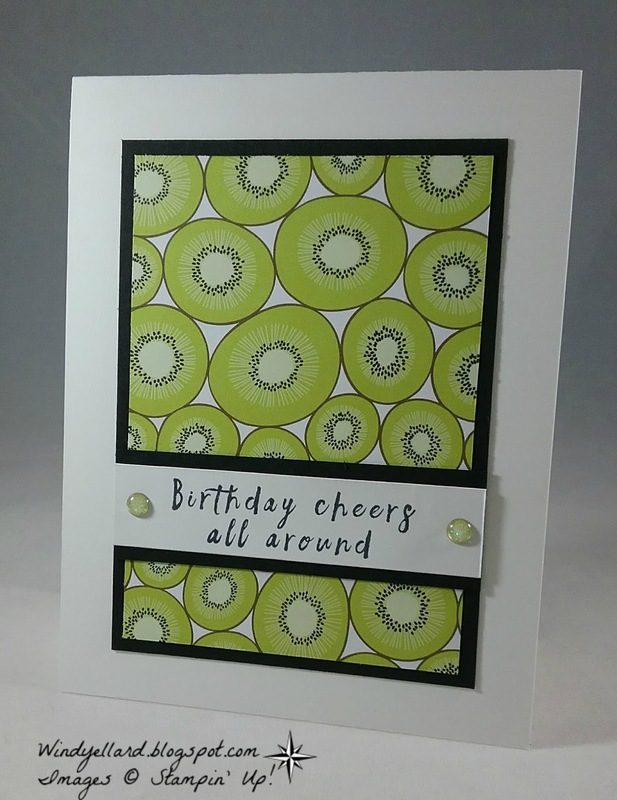 kiwis from the Tutti-Frutti DSP in Lemon Lime Twist. I added some black and thick Whisper White for the base. and layered some more black card stock behind. I added the two glitter enamel dots to finish it off. use it all at the same time. card stock and then on a thick Whisper White base. are from the same kit. Hidden back there is a strip of silver foil. 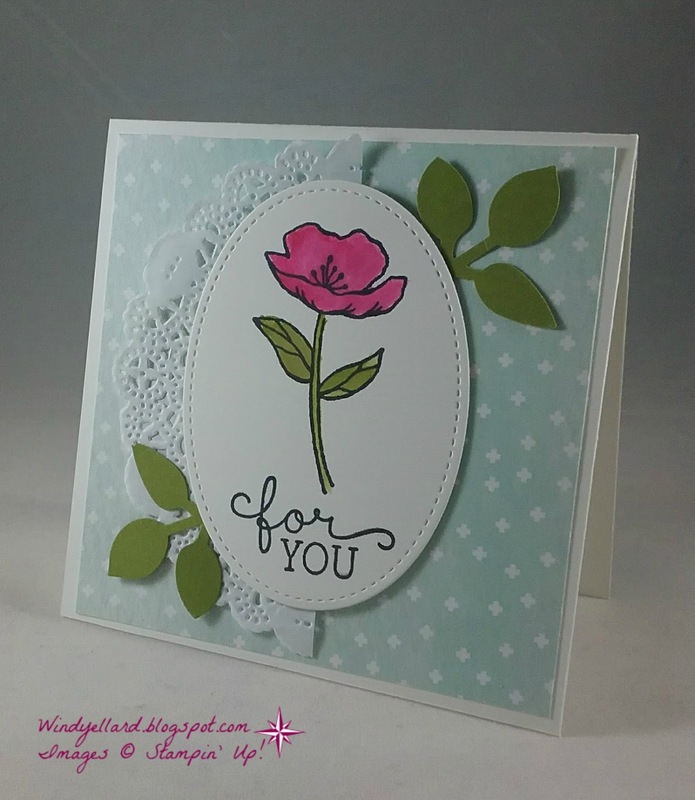 It was a quick card esp since little stamping. 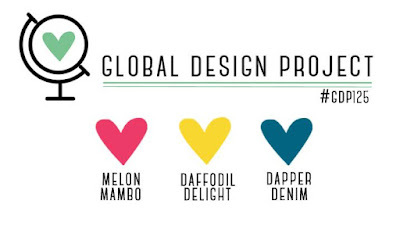 use one of each of these colors for the sentiment. a thick Whisper White base. thinlits dies so I cut it in the happy yellow. A few rhinestones for bling finished it off. 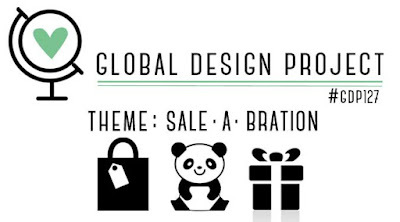 challenge over at global-design-project.com this week. about three weeks ago and never used it so there it sat on my desk. I was playing around and colored it just red and brown. and layer a piece of Kraft card stock on it. Waterfront stamp set on before stamping the sentiment. that came in January's Paper Pumpkin kit. up the oval image. I decided to finish it off with some white baker's twine. Sweet card from someone to receive! however, I did use a love theme, too. I started with the Powder Pink base and then a piece of same color for the background. 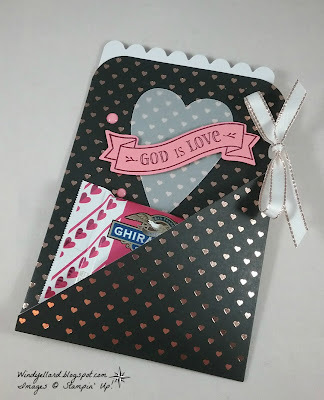 I ran the background card stock through the new Scattered Sequins emboss folder. I used the lovely tutti frutti adhesive backed sequins in Berry Burst for more sequin bling. I finished the card off with some Lemon Lime Twist leaves punched out. Just received this set and love the flowers. 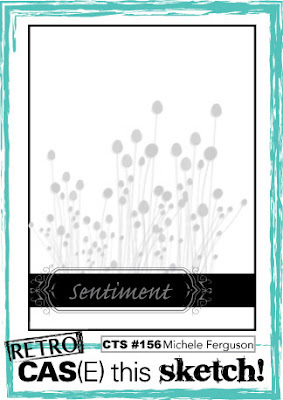 The flowers were stamped on water color paper in Memento Tuxedo Black. called You're Inspiring. I added some pearls because pearls are always good! 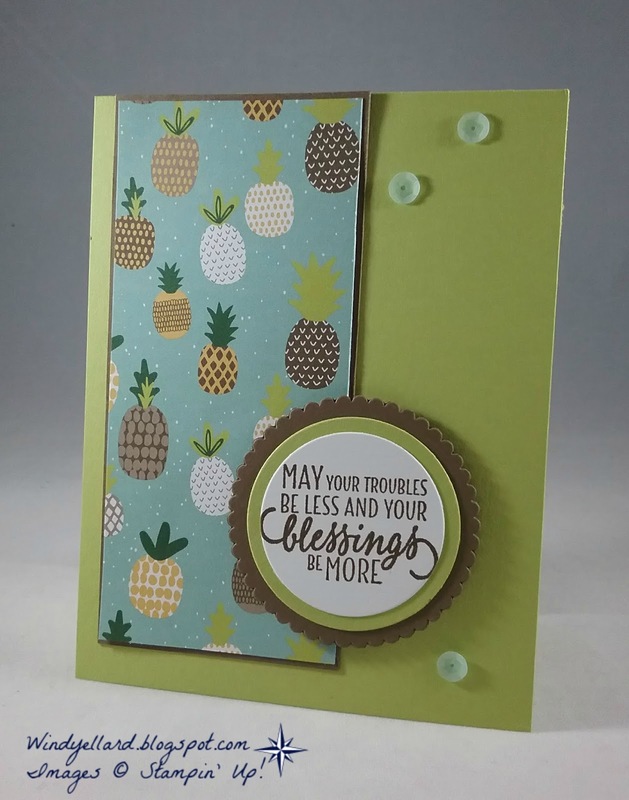 with the Layered Leaves emboss folder. Very Vanilla base to finish it off. 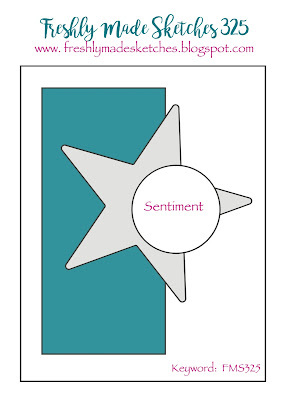 I think it could be a sympathy card or thinking of you. I practiced for a while making this bows. They are a two step. 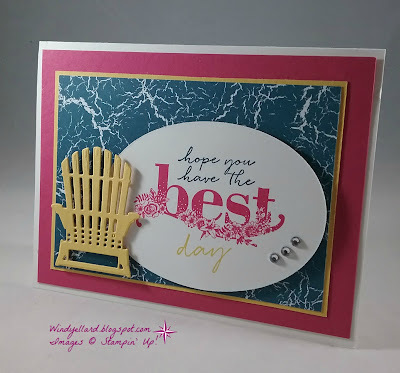 I stamped the first stamp in Pool Party and the second in Bermuda Bay. I had also just received around the Whisper White card stock. Lemon Lime Twist and Berry Burst arrows. You can just see a little detail. 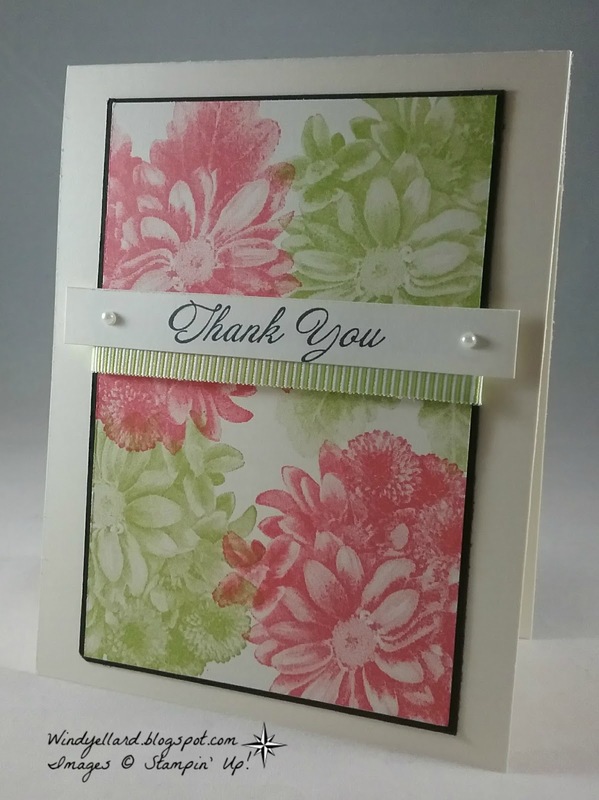 I layered it all on a thick Whisper White base. 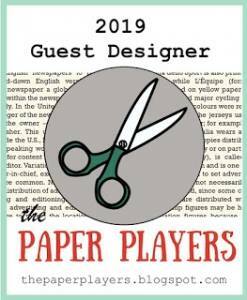 to make the four pieces instead of designer paper. I looked through every set and finally thought this would be perfect. Lemon Lime Twist on Very Vanilla. ran a piece of my new Lemon lime Twist striped ribbon around. in Memento Tuxedo Black and adding some pearls. I finished it off with a thick piece of Very Vanilla for the base. 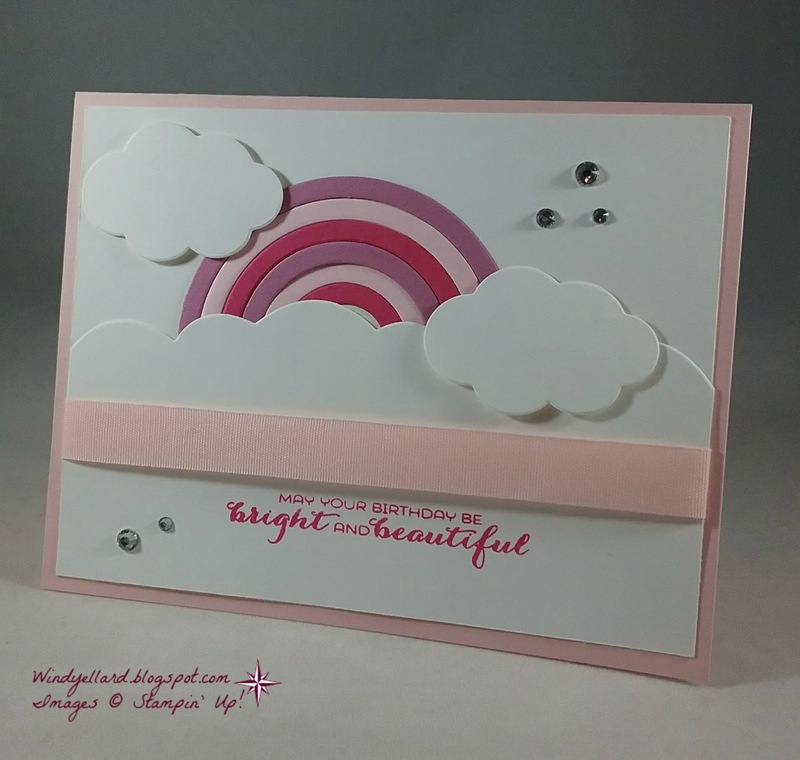 Casing Louise's card was easy since the soft colors stood out right away. Soft Sky from the Naturally Eclectic DSP. 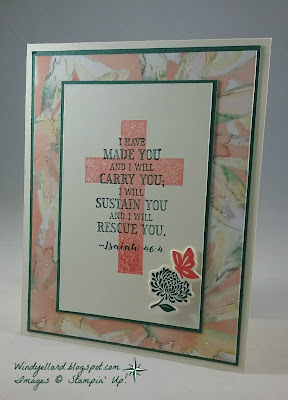 I did a 4 1/4" square card base in thick Whisper White. my aqua painter in Old Olive and Melon Mambo. I stamped a sentiment from the same set. I added a half white doily and some leaves in Old Olive to give some texture. 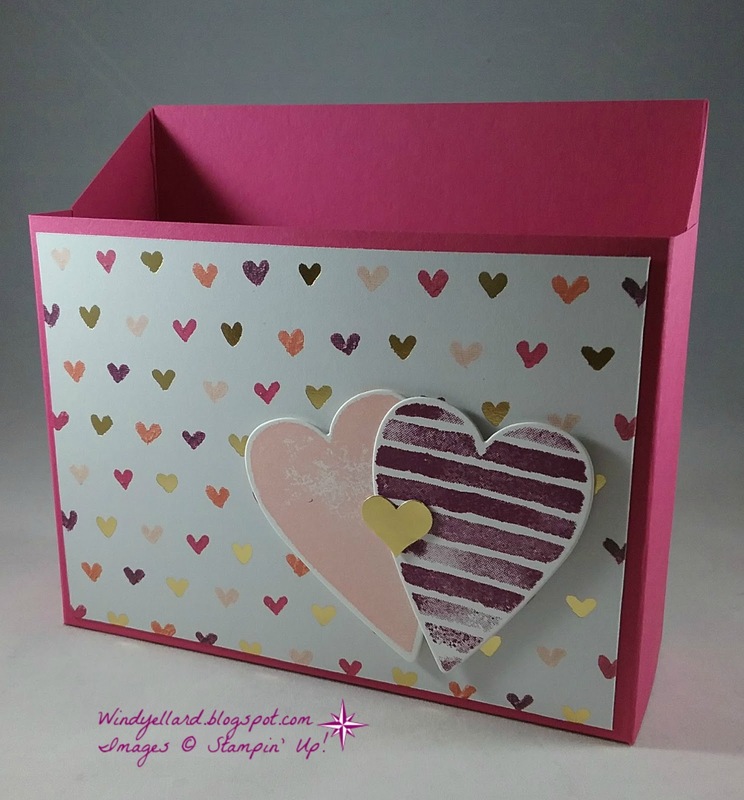 Th kit had some awesome elements like enamel dots and the vellum hearts! and cut with with matching die cut from Cross of Hope framelits dies. 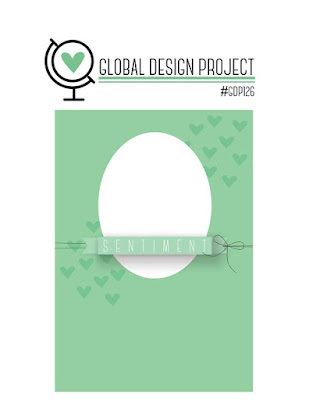 the kit as well as a heart/envelope image. I saw an opportunity to hold a chocolate candy. which meets next week on Valentine's Day! I think they will love them. I love when SU! 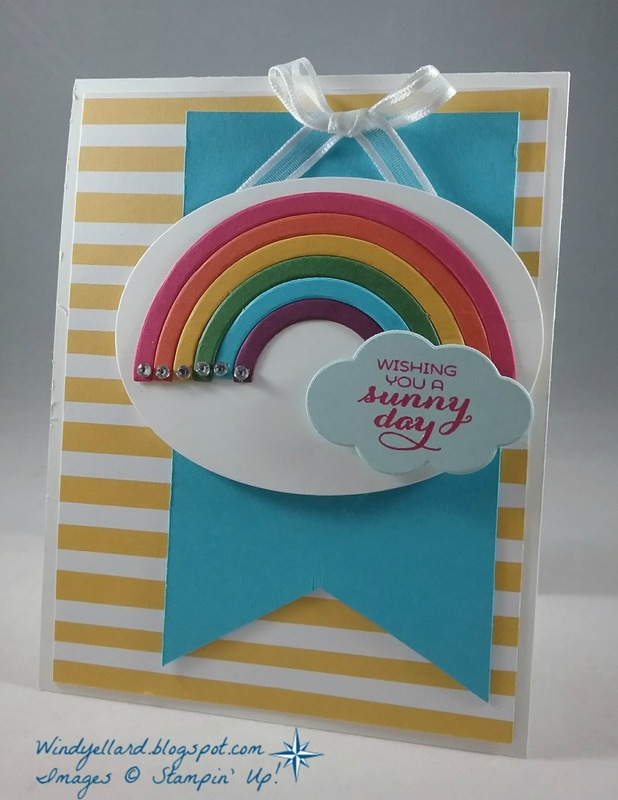 makes it so easy to make something special for others! 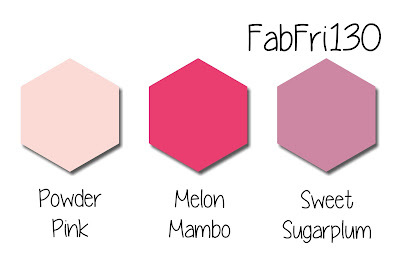 and thought these pink like shade would make a great girly rainbow! with the Rainbow Builder framelits dies. clouds from the same dies and added those. about how much ribbon I have been hoarding. I finished it off with the rhinestones for some bling. I like how clean and simple it turned out. Thanks for stopping by and have a Bright & Beautiful Day! Cute open top boxes for card classes this week. 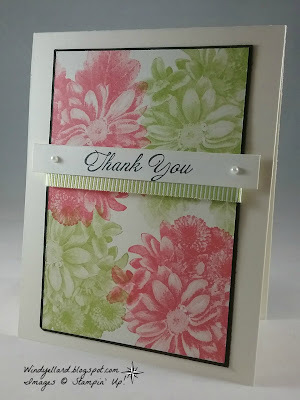 and added the lovely Painted With Love DSP prints on the outside. 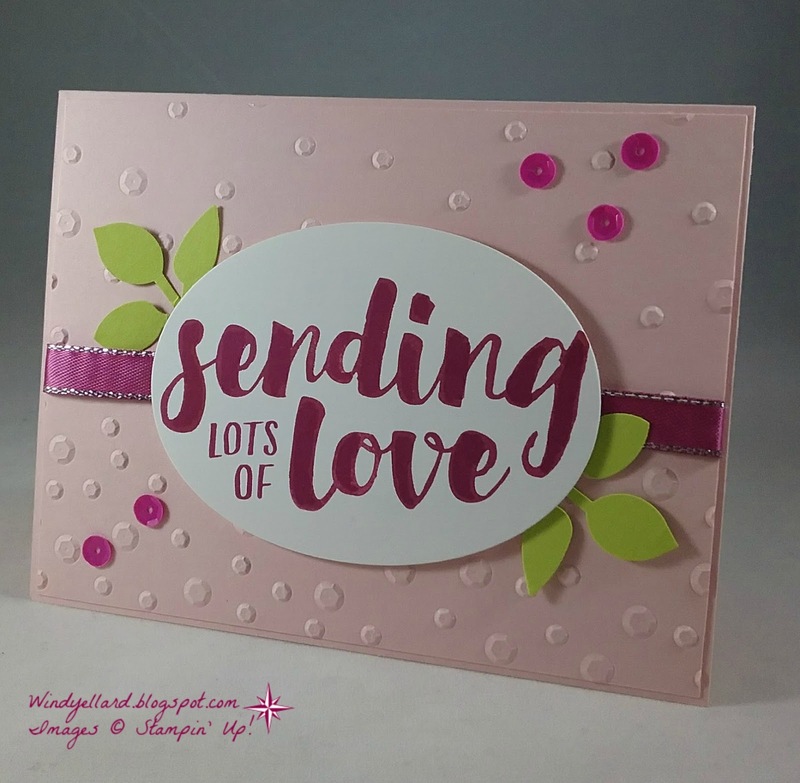 I stamped the hearts from both Sure Do Love you set and Heart Happiness set. 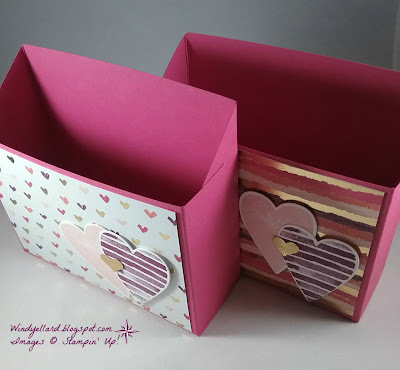 I cut them out with the matching heart die from Lots of Love Box framelits dies. 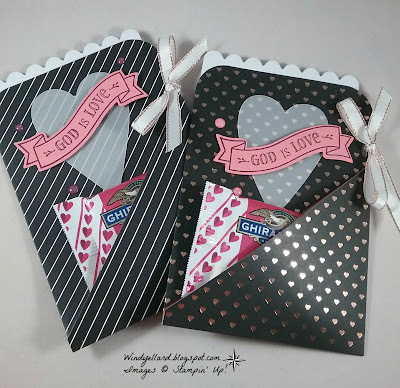 with gold foil paper to tie in the gold from the DSP. I used a piece of card stock that was 8 1/4" by 11"
scored at 1 3/8" and 6 7/8" on the short side. I cut the flaps and attached with tear tape. The DSP is cut at 3 3/4" by 5 1/4"
When I saw this sketch, I thought right away of this host set. It is called Background Bits and is a host set in the 2017-18 SU! annual catalog. I used for the background a piece of Sahara Sand card stock. 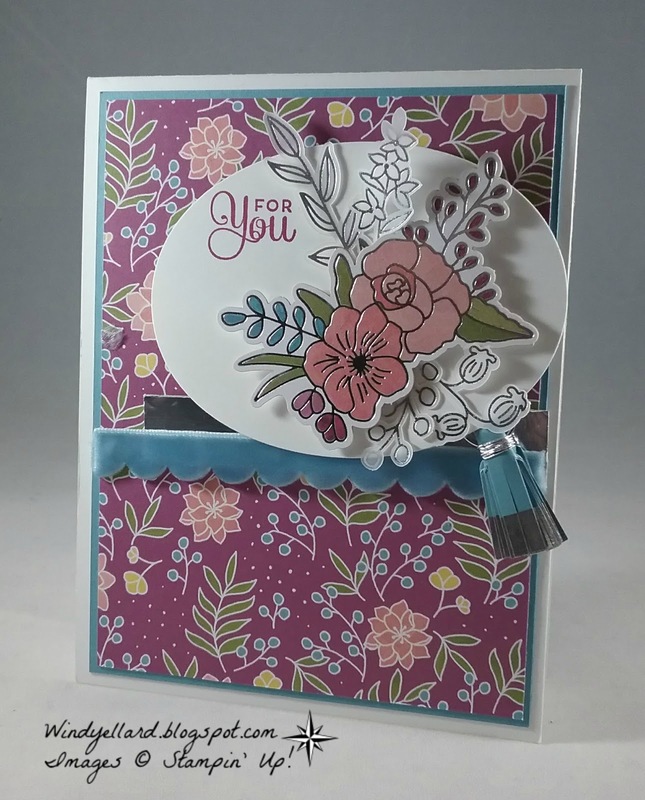 I used Berry Burst and Tranquil Tide markers for the flowers. in Berry Burst and then script in Sahara Sand. and used some Sand ink to sponge for an antique/distressed look. I did the same around the Sand background. another piece of Sahara Sand before placing on the Very Vanilla base. I used some Glitter enamel dots to finish it off. Have wonderful day and thanks for stopping by! Last card for classes this week! 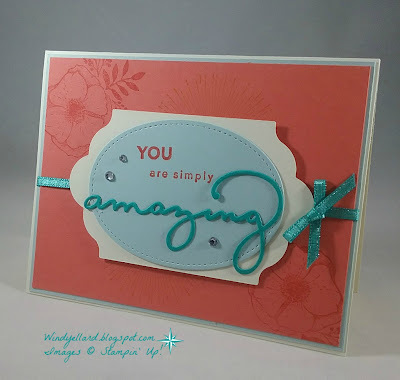 I used the stamp set called Amazing You and the dies called Celebrate You. a qualifying purchase during SAB now til end of March. plus the sun rays ll stamped in Calypso Coral on the background. followed by the Soft Sky and the Calypso Coral background. and added a Soft Sky stitched oval. I ran a thin Bermuda Bay ribbon with bow across. 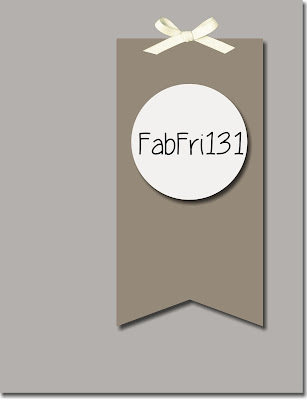 This ribbon is something you can also earn free with the SAB promotion going on now. 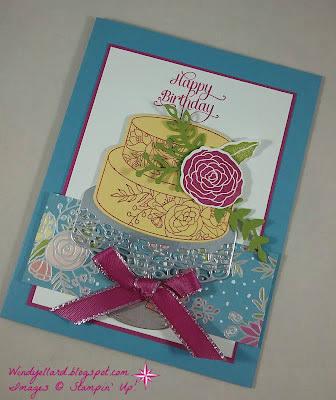 This card was finished by adding a little bling with rhinestones! Hope you have a amazing Monday! I went down the first row with the sentiment, free, ribbon. the wonderful Sweet Soiree suite! 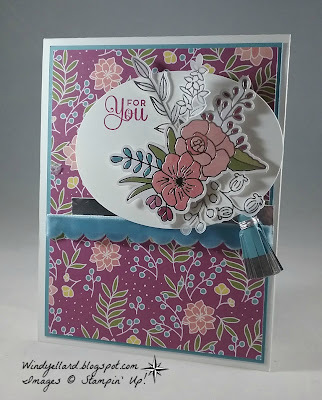 I knew I wanted to use the lovely Sweet Soiree DSP in this print. So decided the cake would not be blue but the base would be. 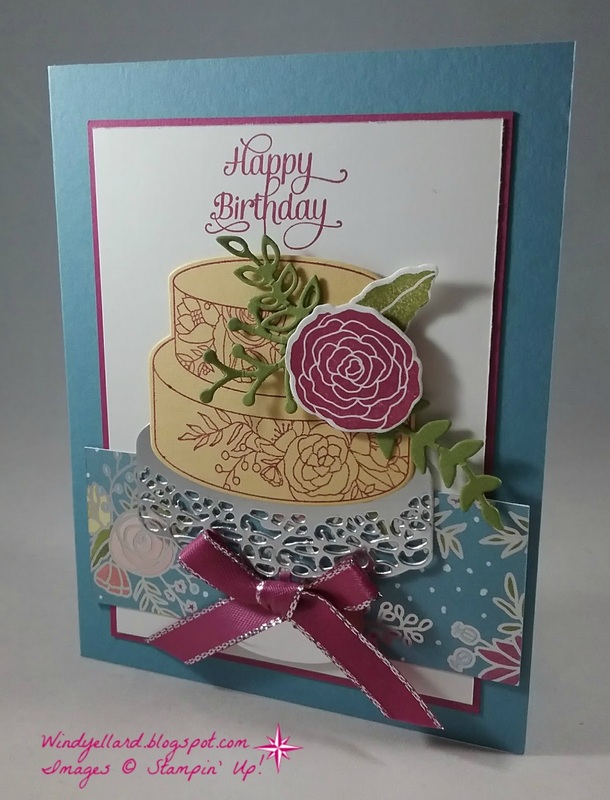 Berry Burst with the detailed cake stamp on So Saffron. 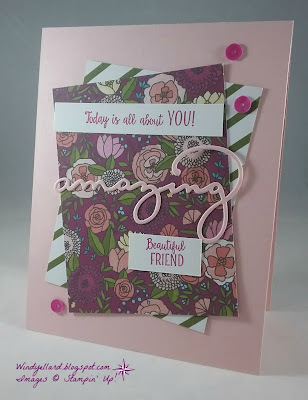 after stamping it in Berry Burst on Whisper White with the matching dies. that looks like a cake topper on the white background. to finish off on the Marina Mist base. at the top but I think this looks like a birthday card!